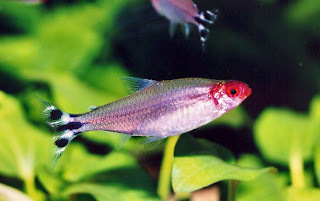 The true Rummy Nose Tetra (H. rhodostomus) is often confused with two other species: H. blehri and Petitella georgiae. All three are sold under the same common name and the differences are not easily observed. Unless you are searching for a particular species for some reason (and I can't see why most hobbyists would) all three look similar and behave similarly. For those of you looking to distinguish them, H. bleheri have sharper white markings on the tail and the mouth is red, and H. rhodostomus has a black stripe that enters the body from the tail. All three have gorgeous red noses and heads, which is where they get their common name. This red marking is highly dependent on water quality and stress levels. The Rummy Nose Tetra comes from dark rivers in the South American rain forest and does best in aquariums that mimic this habitat. It is a skittish fish and is easily scared and stressed. It should be kept in groups of 5 or more since it is a naturally schooling tetra (and one of the best schooling fish I've kept). There should be plenty of hiding places and cover to prevent unnecessary stress. 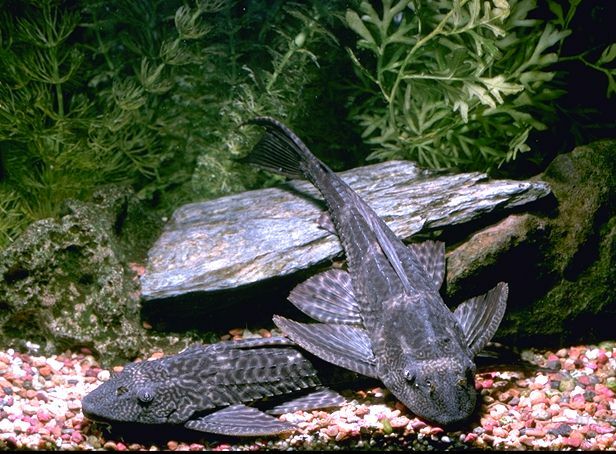 Use of "dither" fish is also recommended, as keeping these fish alone in an aquarium often results in the school hiding or darting nervously around the tank. Having some less skittish species helps to reassure the Rummy Nose Tetras. 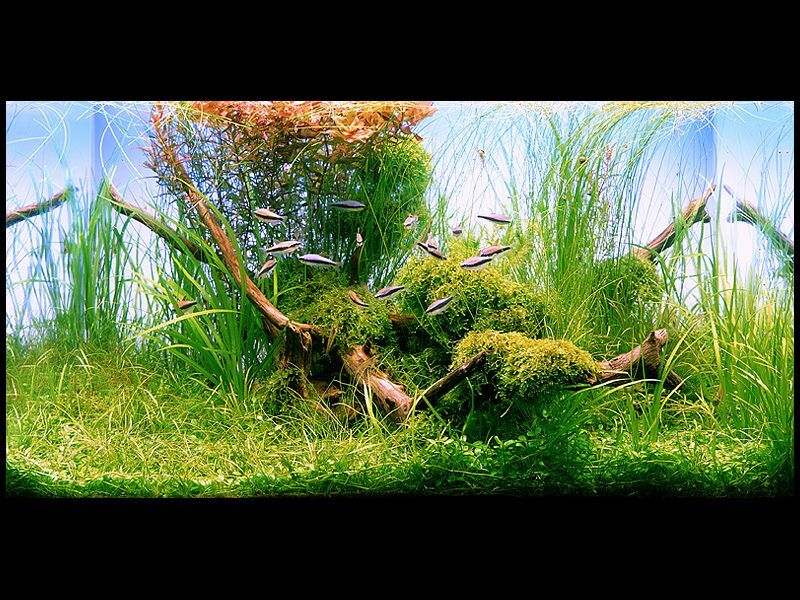 These tetras are fairly hard to keep and are very sensitive to water quality and stress. They are like a barometer for the aquarium: when their noses are a healthy red, everything is going well, but when the red fades, there is something wrong. They must be adjusted slowly to new tanks and the water must be changed weekly. If you are looking for an active, colorful, schooling fish for a planted community aquarium, the Rummy Nose Tetra can be a perfect choice. I also received Amano's Nature Aquarium World books and am busily reading through them and gathering ideas and inspirations. They are truly great books, with plenty of high quality photographs and even some set up instructions. I highly recommend them for any level aquascaper. 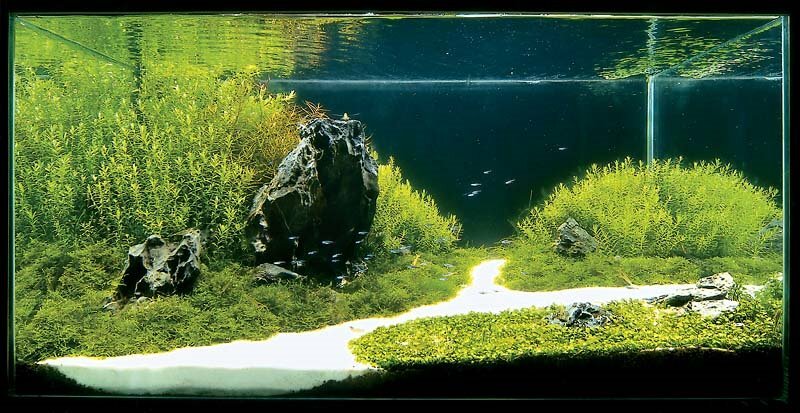 This will be the first of many aquascape analysis posts, where beginners and even intermediate aquascapers can learn some of the basics of aquascaping. Each post, I'll take an aquascaped aquarium that I feel is an outstanding example of the art form and perform a detailed analysis of just what makes it so special. This week I'll be analyzing "ADA Tank 21" from the ADA Thailand website galleries. Click on the pictures for larger versions. 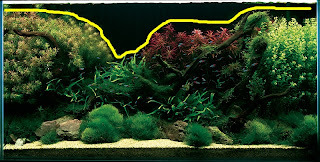 As you can see, this aquascape has a "V" profile, where the plants seem to dip down to some point, creating a valley. This creates interest for the viewer, because their eyes are drawn to this dip. It also creates interest for the viewer. The human mind is curious, and we wonder what's through that dip and behind the tall plants. The variation in height also eliminates the "wall of plants" effect that can occur if all background plants are the same height. Next, the focal point of this aquascape is clearly the red plant in the middle (I can't quite tell what type of plant it is exactly). It instantly draws the focus and attention of the viewer, acting as a "home base" for their gaze. Note well that this focal point is not in the center of the aquarium, but off to one side, following the Golden Rule of Aquascaping. However, there are also two other points of interest (yellow). 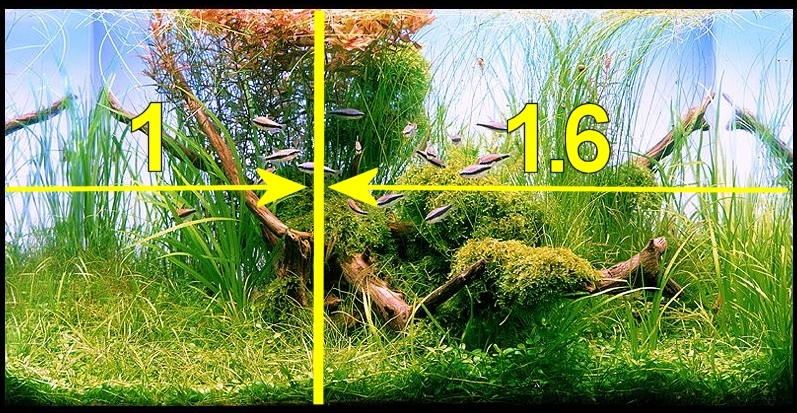 From the focal point, the viewer's gaze is drawn to the left and to the right to the two groups of bright green plants on either end of the aquarium. This draws the viewer's eyes in a natural flow around the aquarium and back to the middle. This flow is further enhanced by the placement of the driftwood. All of the pieces guide the eyes in the direction intended, that is either to the left and the right (or back to the focal point). They essentially act as a road map for the viewer's gaze. 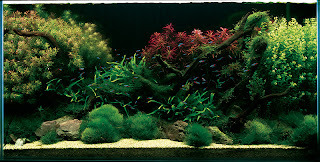 Eyes that wander uncontrollably or have no guidance in an aquascape create an uneasy, stressful feeling for the viewer. The driftwood pieces also help to separate the foreground from the background and create a defined midground, but at the same time, soften the boundaries between the areas by transecting them. 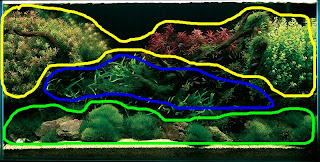 Here we can see the three seperate areas of the aquascape. The foreground (in green) is low and consists of moss covered rocks. The midground (blue) consists of driftwood and Java Ferns that add contrast to the fluffy moss foreground. 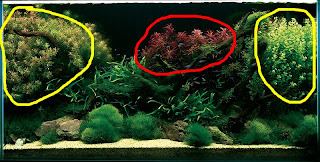 The background (yellow) is the "meat" of this aquascape, with vibrant stem plants making up the entire background. Each area contrasts with the other areas, defining them for the viewer without sudden boundaries. This is done through colors and leaf shape/general plant appearance. 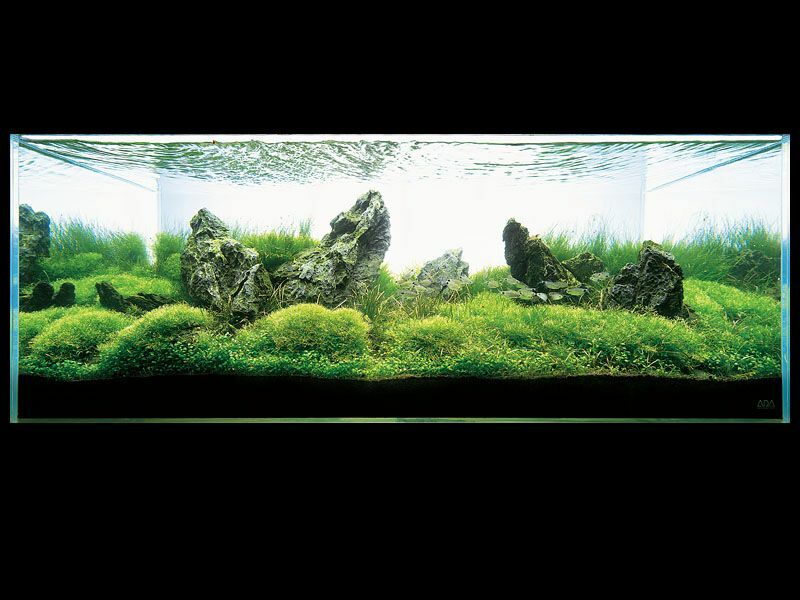 This helps to create depth in the aquascape. 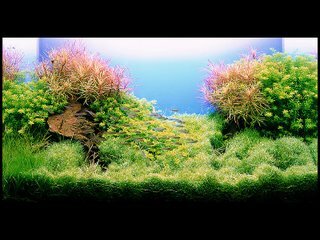 The name of the game in this excellent aquascape is contrast and the aquascaper uses colors, plant types and leaf shapes, and flow to help define areas, create depth, and guide the viewer's gaze. To get into the holiday season, and to help out those who have an freshwater planted aquarium addicted among their friends or family, I've decided to being a series of posts on gifts that all aquarium lovers will enjoy. Be sure to mark these on your wishlist if you are an aquarium ethusiast yourself! All three of these books are showcases of Amano's greatest live freshwater plant aquascapes, and each one is a work of art. These are perfect coffee table books and offer ideas and inspiration for an intermediate to advanced fishkeeper and aquascaper. Book 1 contains Amano's earlier work, with every size aquarium. Books 2 and 3 are a sequence, with Book 2 starting off with miniature planted aquariums and working its way up to medium sized planted aquariums. Book 3 is all larger planted aquariums. 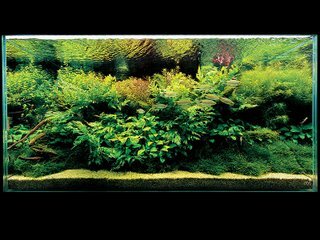 Although you won't find much advice or information on how to create a better freshwater aquascape in the text, the photographs are priceless and well worth it even just to look at. A Nature Aquarium World for the beginner and intermediate freshwater aquascaper, Aquarium Plant Paradise offers more in depth information on set-up and design of the tanks featured. Once again, the pictures are priceless. The translation is a little rough from Japanese, but it is more than made up for in the quality of the planted tanks. Coming next...the best places to buy a gift certificate for an aquascaper! According to last month's poll, 83% of you wanted to see more beginner's guides. Now my question to you is, what kind of beginner's guides do you want to see? What do you need help with? 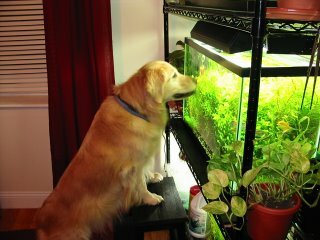 What aspect of fish keeping or aquascaping mystifies you? I'm not going to put this into a poll only because I want some open ended answers; you can leave yours as a comment to this post! Hopefully I can get some good ideas and write some guides that are valuable to those starting out or those who just want a better understanding of the hobby. Watersprite is one of the easiest aquarium plants to grow, once it becomes established. It can grow both as a floating plant or rooted in the substrate. If grown floating, it will grow rapidly and spread to cover the entire surface. However, unlike other floating plants, it's easy to get rid of or thin out. It's very easy to spread as it grows tiny plantlets on exisitng leaves that can be separated and planted or floated, and any broken leaves that float to the surface will sprout and grow. It's often used in its floating role as a nutrient sponge for tanks that have just been set up or are having algae issues. 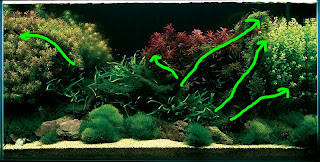 Adding some to a tank will quickly outcompete most algae. When grown in the substrate, watersprite will quickly grow to the surface. It grows like a fern; all the leaves emerge from the base and unfurl upwards. For this reason, it can take up a lot of space in an aquarium. It also can grow up to 30 inches tall, so it will quickly reach the surface of most tanks. Light is rarely an issue, as it can grow with less than 1.5 WPG, albiet slowly. Trimming watersprite and keeping it under control is probably the most difficult part of growing this plant. It can't really be trimmed per se. If you cut off a leaf, a larger one will just grow back in its place. Instead, it's better to remove the entire plant, cut off a few leaves and let them float and sprout roots. Then, plant these smaller plants where the old plant used to be. CO2 and fertilizers are rarely needed for healthy growth, but adding them will increase growth rates substantially. Unfortunately, certain snails love to eat watersprite, however these snails also eat all kinds of other aquarium plants and shouldn't be kept in a planted aquarium if possible. Most common planted tank snails will not eat watersprite, nor any other plant. Its versatility, utility, and ease of care make watersprite an ideal plant for the beginner or for a planted aquarium that has just been set up. Be prepared to be giving away baby plants left and right though! I've just stumbled upon this very interesting article on what the ideal level of light for an aquarium is according to the aquascapes of Takashi Amano. World-renowned aquascaper and founder of the Aqua Design Amano (ADA) contest and sponsoring company, Amano has published several books of his aquascapes and given light levels along with almost every aquascape. Using this information, John Fitch has not only discovered that Amano uses more light per gallon on smaller tanks, but has also developed a calculator to determine, using the data from Amano's tanks, roughly what light level Amano would be likely use on your aquarium. The calculator can be found in the article, which is called "Lighting as a Function of Tank Size in the Aquaria of Takashi Amano." 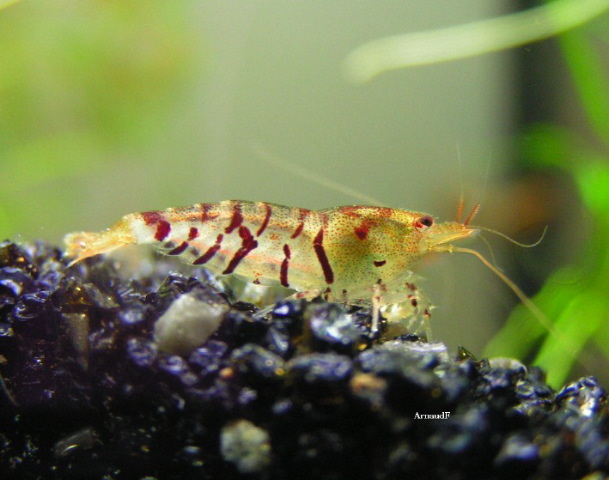 Keeping freshwater shrimp can be extremely rewarding. If you're bored of fish, or want something other than fish in your aquarium that requires less maintenance, shrimp are a great option. In fact, many people keep tanks of just shrimp! There is just as much variety in the types of shrimp you can keep as the types of fish available. They come in all sizes and colors, range from very easy to keep to quite difficult, and are both easy to breed and nearly impossible in a freshwater aquarium. 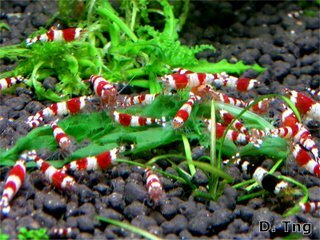 However, there are a few important things to consider when thinking about adding shrimp in general to an aquarium. First, you must consider your existing tankmates (should you have any). Shrimp come in all shapes and sizes, but in general are on the smaller side (around an inch or two). This makes them tasty snacks for larger fish. If you have any large fish, like Oscars or other cichlids, you may want to avoid wasting your money. Also, certain fish eat shrimp in the wild and will quickly consume any you may buy for your aquarium. These shrimp eating fish include loaches, puffers, and some gouramis. Mixing shrimp with fish is also not always a good investment due to the fact that if you buy a type of shrimp that does breed easily, baby shrimp will most likely be quickly snapped up. Therefore, your population will not replenish itself and the larger shrimp will die of old age. Second, the aquarium is filled with hazards for shrimp that don't exist in the wild, namely filter intakes. Most are shielded somewhat, and this does the job for most adult shrimp unless the filter is particularly strong. However, baby shrimp will be sucked into the filter and, depending upon what type of filter you have, either lead very boring lives stuck in a canister filter or be smashed to death in the impeller. To prevent this, you can either put a piece of stocking over the end of the intake and secure it with a rubber band or plastic tie; cut a hole in a sponge like the types you buy for filter media and stick this over the intake, or switch to air-driven sponge filters. The stocking and sponge options will quickly clog with debris and need to be taken out and cleaned every week or two, so they are quite intensive. The sponge on the other hand is guaranteed not to bubble anything to death, but it will disperse CO2 if you are using it in your aquarium, and they tend to be quite large and ugly (not to mention take up valuable space inside the aquarium). Third, make sure the type of shrimp you want matches your aquarium. 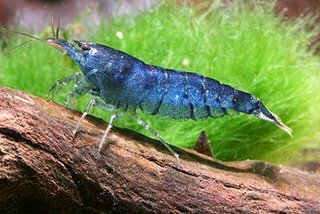 Neocaridina japonica, or Amano shrimp, grow to be up to 2 inches long and eat algae, but the eggs will not hatch in freshwater. These are best suited for aquariums with fish. 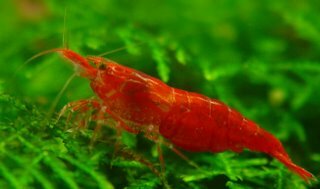 Crystal red shrimp can be upwards of $50 per shrimp for a good pattern and are very sensitive to water conditions, but will breed quickly if conditions are right. You wouldn't want to put those in with fish unless you like to give your fish very expensive snacks. Do a little research on the type of shrimp you are interested in and make sure it works with your current or planned setup. Finally, shrimp should only be put in a mature tank as they are very sensitive to ammonia and nitrates. They are much more picky about water parameters. 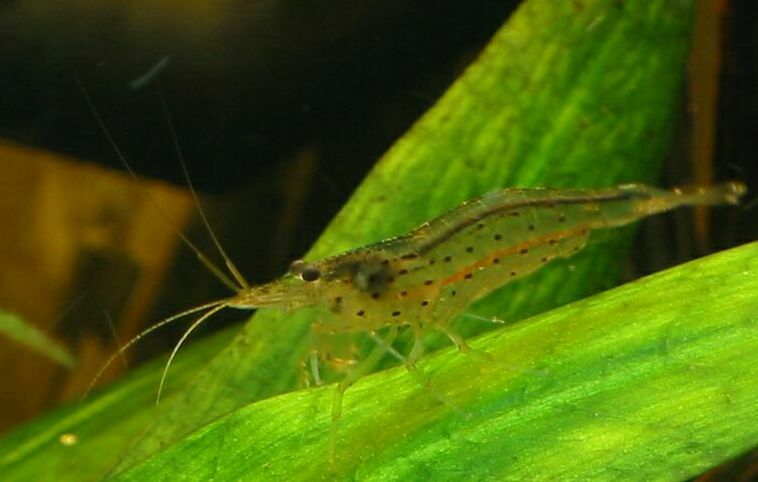 I've found that adding certain fertilizers containing trace elements will kill off my Cherry shrimp, but not my Amano shrimp (most likely due to the copper or other heavy metals in the fertilizer). A tank should not be medicated when shrimp are in it. They are often much more sensitive to medications than fish: copper being the most lethal. Even foods should be examined to make sure they do not contain copper. Overall, shrimp are an excellent addition to an aquarium, and will add color, fun, and help clean the tank! 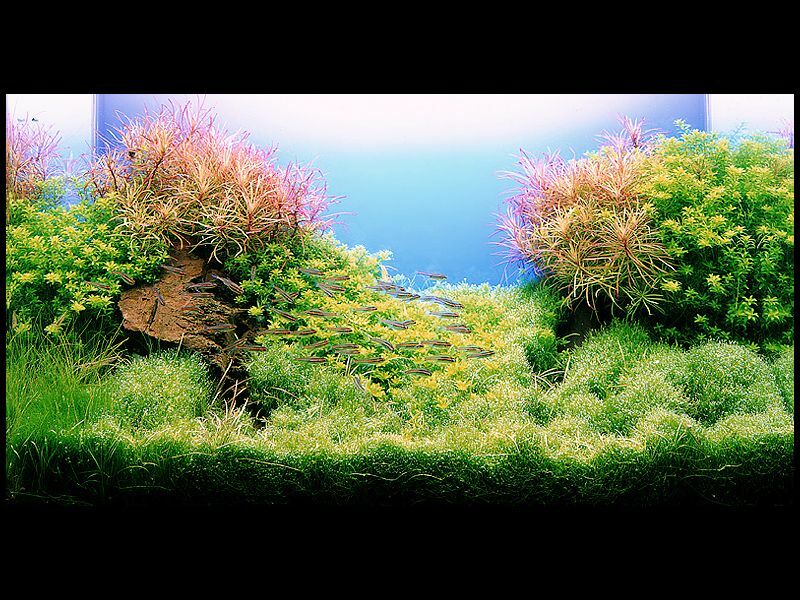 This is the first in a series of posts about the fundamentals of aquascaping. 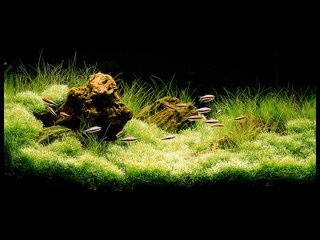 I'm posting these because I've found them very helpful in creating an aesthetically pleasing aquascape. They are by no means the "rules" of aquascaping, just guides. 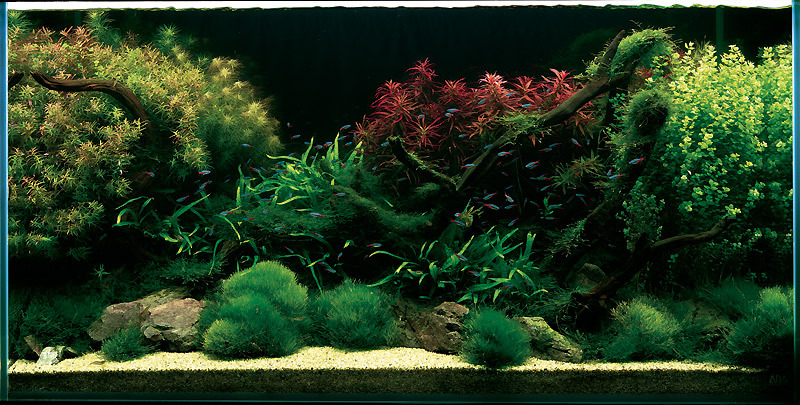 When you're planning out an aquascape, one of the most important aspects is where it will draw the viewer's gaze. In fact, a viewer's gaze is what the aquascape is all about. The primary goal of an aquascape is to be pleasing, relaxing, and interesting to look at for the viewer. In order to do so, you need to set a sort of "anchor" for the mind. This is called the focal point. It is the point that draws the gaze of the viewer first, from which they can explore the rest of the tank. A focal point can consist of almost anything, from a red leaved plant to a rock or a piece of driftwood. The only thing it must do is draw attention. You can't have a plant that blends in with every other plant be the focal point, you have to make it stand out in some way. There are a few simple things to remember about a focal point. First, there should only be one. Having more than one focal point leaves the mind uncomfortable and stressed, looking back and forth from focal point to focal point. Only in extremely large tanks may you have two focal points comfortably. Second, you should have some sort of focal point in every aquascape. Not having any does the same as having too many: the viewer's eyes are left wandering back and forth, stressed and uncomfortable. Third, the focal point should be placed in a very particular (and special!) location. This is where we come to the Golden Rule of aquscaping. This Golden Rule dates all the way back to the Greeks. It seems the they came up with a theory that the ratio 1:1.618 was the most pleasing to the human eye. Many people assume that plopping the focal point in the middle is most pleasing, however, this will again keep your eyes wandering left and right. By placing it slightly off center, you are effectively gently guiding the viewer's eyes. You'll see this Golden Rule used in all forms of art, from paintings to architecture. But how do you use this Golden Rule in the aquarium? It's actually fairly easy. All you need is a measuring tape (or ruler) and a calculator. Simply measure your tank lengthwise from one end to the other. Then divide that number by 2.618. A 29 gallon tank, as an example, is 30 inches wide. 30 divided by 2.618 is 11.45 inches. Now take your measuring tape again and measure 11.45 inches from one side of the tank (you can measure from either side, but which side to put the focal point on is up to you). At exactly 11.45 inches exists an imaginary line. This is where your focal point should be centered. Hygrophila polysperma "Rosanervig," or Sunset Hygro as it is more commonly known, is a very versatile and beautiful cultivated variation of H. polysperma. Its leaves have veins of white (thought to be the result of a harmless virus) and turn shades of pink and red under adequate light. An undemanding plant, Sunset Hygro does not require CO2 or high light to grow. However, if these are provided, the plant will grow very rapidly, often requiring weekly trimming. Through frequent trimming the plant can be trained to take on a low, compact, bushy form and thus it can be a midground as well as a background plant. 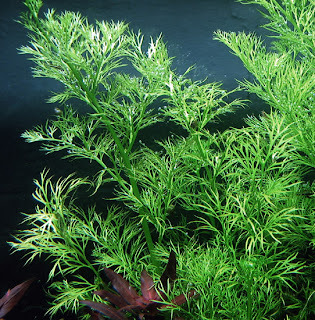 It is a perfect plant for beginners or lower light, low tech aquariums as it can survive in almost any conditions. If well trimmed and trained, it can also make a gorgeous centerpiece in an aquascape. Sunset Hygro is fairly easy to obtain from other hobbyists but may be harder to buy in local fish stores due to its nuisance weed status. If you do need to get rid of some, please do not dump it into local waterways as it can clog them rapidly and kill off native species. Instead, put it in the trash. 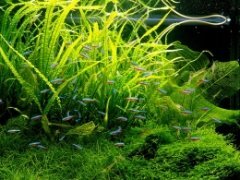 Overall, Sunset Hygro has been one of the easiest plants to grow for me, and although it was a bit troublesome at first to work into an aquascape, through frequent trimming it has taken on a more attractive bushy appearance that blends will in my aquarium. 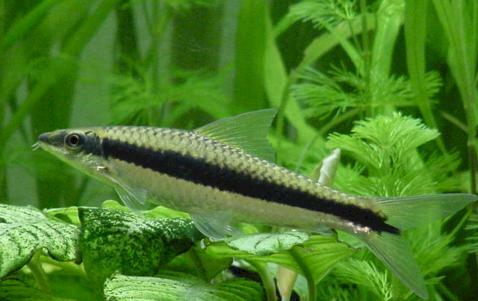 The Siamese Algae Eater (SAE) is well known to most veteran planted tank hobbyists. Like its name suggests, this fish eats algae, and unlike other fish that may be called algae eaters, this fish does the job. This is one of the trickiest aquarium fish to understand due to confusion and over enthusiasm for its abilities. However, it is fairly easy to care for once they are established in a tank. First, you need to learn how to tell a true SAE from the many similar imitations that are often sold. The Flying Fox is just one look-alike that does not eat algae to the same extent an SAE does. True SAE's have a black band down their middle, but this black band has rough edges. The stripe also extends onto the tail, which is almost clear otherwise. There is also only one stripe. The rest of the fish is a brownish-beige. Any other stripes, markings, or color on the fins and it is not a true SAE. SAEs do eat algae, mostly hair algae. However, if there is not enough algae in your tank to satisfy the SAE, it will quickly turn its attention to any other fine leaved plants. I have had my SAE strip moss, Rotala wallichi, and Mayaca fluvalitis. I've finally learned that I simply cannot keep any fine-leaved plants in the same tank or they will be eaten. The SAE is not a cure-all for algae. It won't eat tons of algae, so you have to help fix the problem yourself as well. Also, it won't eat all types of algae. Green spot algae and blue green algae are not on the menu. These fish also eat less and less algae as they grow larger, and they do grow large. They can top out at almost 6 inches, so a large tank is a must, especially if you have more than one. They can also get aggressive towards other fish as they get larger. They tend to like to chase and harass other fish, however I've observed mine trying to school with similar looking fish (with a black band down their middle) like my otocinclus cats and Boesmani rainbows. Perhaps some of this aggression is mistaken for attempted schooling, as I have not seen any aggression so far from my SAE. As an interesting fact, SAEs do not have a swim bladder like other fish to control their buoyancy. Instead, they must remain swimming or they sink to the bottom. You'll often observe an SAE resting on a leaf or piece of driftwood for this reason. Bottom line: Make sure you get the right fish, bring a book if you have to. Don't put it in with fine leaved plants or they will be eaten. Finally, have a large enough tank with other semi-aggressive fish as it may beat up on extremely shy fish. Hygrophila polysperma var Rosanervig "Sunset"
So if you are looking to buy aquatic plants online, check out Boston Aquatics! 1. Python No Spill Clean N' Fill - ($28.99) This is a lifesaver when it comes to doing weekly water changes on three tanks. I've never had to live without it and I hope I never will. This handy tool allows you to use your faucet as a vacuum to draw water out of your aquariums and then fill them back up with a flip of a switch. 2. Mag-Float - ($5.99-109.99) This powerful magnet makes it really easy to clean off algae on the glass of your aquarium. It's designed not to scratch the glass and can be bought for acrylic aquariums as well. A few simple strokes with one of these and green spot algae is wiped away. A quick fix so you can see your plants and fish! 3. Aquatic Forceps - ($1.99-4.99) Extremely helpful when planting tiny plants in deeper aquariums, and even for grabbing things when fingers are too clumsy. If you are planting any sort of ground cover or small stemmed plants, these can prevent much frustration and ripping out of one's own hair. 4. UV Sterilizer - ($30.00+) Although many will argue with me that a UV sterilizer is not necessary, it sure does help a lot. After trying to combat my first outbreak of green water by myself with blackouts which killed half my plants, I invested in a cheap UV sterilizer and it has made the difference between having crystal clear water and pea soup. Even if you don't have green water, it cleans up the water so well the water is extremely clear. 5. Fertilizers - (prices vary) A good set of fertilizers (nitrogen, potassium, phosphate, and trace elements) is vital for keeping healthy plants. There are a number of different sources of fertilizers, but the two best are Seachem Flourish and Greg Watson. Seachem fertilizers come ready to use in a bottle but are far more expensive while Greg Watson's fertilizers come in dry powders at must be measured yourself but they are very inexpensive. 6. Water Conditioner - (prices vary, under $10.00) A decent water conditioner will make the difference between healthy fish and dead fish. A staple even in fish only aquariums, you may already have a water conditioner. However, some are better than others and some remove more impurities than others. Generally, Tetra Aquasafe, Kordon NovAqua, and Seachem Prime are the top of the line conditioners. 7. pH Test Kit - (prices vary, under $10.00) You may already have one of these if you keep a fish only aquarium, but it will be invaluable in a planted aquarium. pH allows you to roughly determine CO2 levels and keep them within an acceptable level. 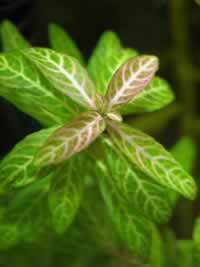 Also, some plants prefer acidic or alkaline water, so frequent pH testing will become habit. Dip strip test kits are fairly accurate and generally alright, but are not accurate enough for extremely precise measurements. 8. Nitrite/Nitrate Test Kit - (prices vary, under $10.00) Somewhat more important than a pH test kit in a planted aquarium is a nitrate/nitrite test kit. Nitrite is poisonous to fauna and is converted into nitrate by bacteria. However, if something goes wrong, having a test kit to measure levels of nitrate/nitrite may be the only way to prevent all of your fish from dying if you act quickly. It is also important because nitrate is one of the three major fertilizers for plants, and maintaining a steady level keeps growth regular and plants from stunting. 9. Aquatic Tissue Scissors - ($2.99-5.99) When it comes time to trim plants, you'll need a pair of sharp, precise scissors to make clean cuts to prevent damage to your plants. You'll also need scissors that won't rust when exposed to water frequently. These aquatic tissue scissors are perfect for the job, making trimming quick and painless for your plants. 10. Planted Aquarium Substrate - ($15.00-$40.00) Last but not least, a good planted aquarium substrate makes an enormous difference in a planted tank. If you've ever tried planting some plants in regular aquarium gravel or struggled to get fine-rooted pants to grow, you'll understand. These substrates are specially made to make it easier to grow plants. They are often more fine, allowing better root growth and many contain fertilizers as well. Each brand has its own positives and negatives, but I've never been unhappy with my Eco-Complete from Caribsea. Most substrates are black or dark brown too, which brings out the colors of your fish and plants better than a white or artificial color often found in regular aquarium gravel.